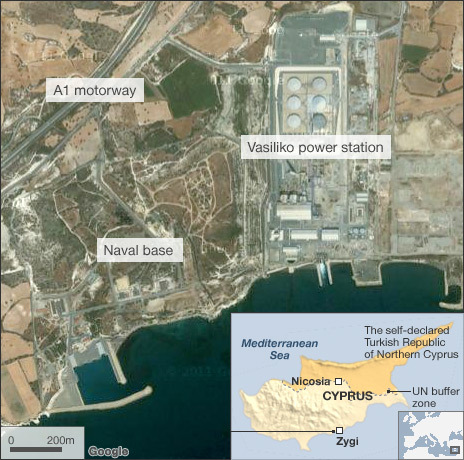 The head of Cyprus’ navy, Andreas Ioannides, was among 12 people killed when seized containers of gunpowder exploded its main base. The commander of the Evangelos Florakis base, Lambros Lambrou, also died. The defence minister and military chief have resigned over the incident, which officials said occurred after a bush fire ignited the explosives. A government spokesman has said a recent meeting concluded that safety at the site needed to be improved. But the recommendations had not yet been implemented, he added. The comments came after Ioannides’ son said senior officials had repeatedly ignored his warnings about the condition of the containers. More than 90 containers of gunpowder had been kept in the open at the Evangelos Florakis base since they were confiscated by the Cypriot authorities from a ship intercepted in 2009 sailing from Iran to Syria in violation of United Nations sanctions on the Islamic Republic. Early on Monday, firefighters were called to tackle a small fire in the storage area. At 0550 (0250 GMT), there was a massive explosion. The blast killed Mr Ioannides and Mr Lambrou, as well as four other navy personnel and six firefighters, a police and military statement said. 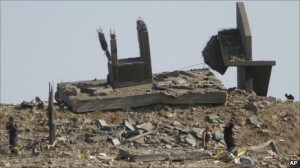 Sixty-two people were wounded, two of them seriously. The shockwave destroyed the walls of two multi-storey buildings on the base, and generator buildings and fuel tanks at the nearby Vassilikos power plant. Debris was blown as far as 3km (2 miles) from the base and hundreds of trees were flattened. Nearly all the windows in the village of Zygi were blown out, while roof tiles were torn off and windows broken in the village of Mari. Commerce Minister Antonis Paschalides said the damage to the power station, which produces 60% of the country’s electricity, was a “tragedy of Biblical dimensions”. The blast caused widespread power cuts, and the electricity authority has warned that the plant will not immediately come back online. Government spokesman Stefanos Stefanou said there was no risk of further explosions, and that foreign experts would be called in to help the police and armed forces, the National Guard, investigate the incident. Asked about reports that navy commanders had expressed concerns over the safety of the gunpowder storage area, Mr Stefanou said officials had met last week at the defence ministry to discuss the matter. 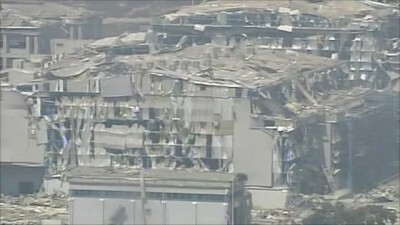 “Decisions were taken on protecting the material, but unfortunately this was not possible as time ran out,” he added. Earlier, Ioannides’ son told CyBC television that his father had warned that the gunpowder containers had been had become “warped” because they had remained exposed to the elements since being confiscated. Mari’s community leader, Nicos Asprou, told reporters that the community had not been told gunpowder was being stored at the base. President Demetris Christofias meanwhile accepted the resignations of Defence Minister Costas Papacostas and National Guard chief of staff, Petros Tsalikidis. They will remain in post until replacements are named.